We know that sometimes you can’t always be there to tell someone how much you care. Whether you want to cheer someone up, say congratulations, offer words of encouragement, or expressions of appreciation, sending a gift of soup is a great way to show your thoughtfulness. From the moment you place an order through our secure web site to the confirmation email with tracking number, we take pride in knowing that every detail is being seen to so you can be assured your gift arrives beautifully, safely and in a timely fashion. Every gift order is designed with thoughtful touches that make it extra special. From the colorful ribbon ties to the hand written gift card, we want every detail to feel personalized. Additionally, every gift is packaged to ensure that it arrives safely and ready to heat, eat and enjoy. Our soups are packed in sealed, insulated liners with gel packs to maintain temperature control and keep deliciously fresh. Once delivered, your recipient is encouraged to refrigerate and enjoy the soup within 2-3 days. They can also freeze any leftovers for up to three months (that is, if there are any). We realize that sending a gift can be a time-sensitive issue and will make every effort to process your order as quickly as possible. However, due to our carrier’s policies, delivers to business addresses can only be made weekdays only. Additionally, it is important to note that carriers will often leave the package at the front door if no one is home. For this reason, we encourage you to send your recipient a message letting them know that something special (and perishable) is on the way. For our standard delivery we use United States Postal Service (USPS) Priority. This includes our free shipping for our pre-designed gift bundles and a flat rate for our Design Your Own gift bundle. You also have the option to expedite delivery and can select FedEx two day or overnight. Please note that you will be charged their actual carriers rates upon checkout. To ensure freshness, our soup gifts are delivered within 2-3 consecutive business days, therefore, we determine the shipping date based on the transit time it takes for the gift to arrive fresh. Orders received prior to 1:30 pm PST will be processed that same day or the first possible day that meets the 3 consecutive business day transit requirement for our standard shipping. Please reference this Shipping Schedule (Click this link for schedules) to determine what your expected delivery day will be based on the available shipping options. Once you place your order, you will receive a tracking number so you can monitor exactly when your gift will be delivered. At this time, we do not ship outside the continental US. We also cannot ship to PO boxes, A.P.O. or F.P.O. addresses. Check your addresses carefully! Heart & Bowls reserves the right to make corrections and limit refunds and replacements if an address error is made. Additionally, we cannot be responsible for any refused deliveries. Our guarantee extends only to correctly addressed orders. Our soup gift shipments are perishable and we cannot guarantee the condition of the package or its contents if the delivery service has to re-route the package. Please see our Terms and Conditions Page to review our shipping claims and exceptions policy. If you are sending your gift to a business, hotel or hospital please be aware that our carriers may deliver the package to a shipping and receiving department. Please let your recipient know to expect a perishable (and delicious) package. For businesses, please include as much information as possible including company name, telephone number, suite or room number, recipient’s name and department, if applicable. 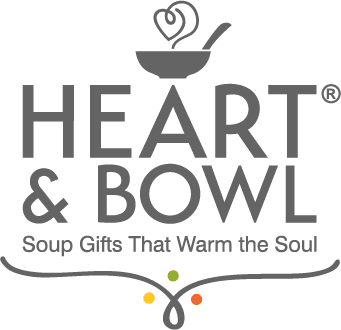 We want you and your recipient to be delighted with your Heart & Bowls gift experience. If for any, reason you are dissatisfied, please contact us as soon as possible and we will make every effort to remedy the situation. Please call our “We Care” department Monday-Friday 8:00 am – 4:00 pm Pacific Standard Time or send us an email at WeCare@HeartandBowlss.com.